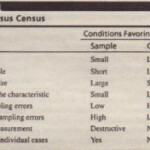 Non-probability sampling is used in concept tests, package tests, name tests, and copy tests, where projections to the populations are usually not needed, In such studies, interest centers on the proportion of the sample that gives various responses or expresses various attitudes, Samples for these studies can be drawn using methods such as mall-intercept quota sampling. On the other hand, probability sampling is used when there is a need for highly accurate estimates of market share or sales volume for the entire market. National market tracking studies, which provide information on product category and brand usage rates, as well as psycho-graphic and demographic profiles of users, use probability sampling, Studies that use probability sampling generally employ telephone interviews. Stratified and systematic sampling are combined with some form of random digit dialing to select the respondents. The respondents can complete the survey at their convenience, Internet surveys,like computer-assisted surveys (computer-assisted telephone interviewing, CATI and computer-assisted personal interviewing, CAPI), can incorporate automatic skip patterns, consistency check anti other intelligent features, The data collection can be fast and inexpensive, A major issue related to Internet sampling is representatives because of lack of computer ownership and Internet access in many households in the United States, Internet access is even more restricted in foreign countries, Furthermore: heavy users of the Internet may have a disproportionately higher probability of being included, Unrestricted Internet samples in which any visitor can participate are convenience samples and suffer from self-selection bias in that the respondents can initiate their own selection. deter.nine their preferences and usage of laundry detergents. an Internet survey would net be a good choice as an Internet sample is unlikely to be representative of the target population, To avoid sampling errors, the researcher must be able to control the pool from which the respondents are selected Also, the researcher must ensure that the respondents do not respond multiple times (“stuff the ballot box”), These requirements are met bye-mail surveys, where the researcher selects specific respondents Furthermore, the surveys can be encoded to match the returned surveys with their corresponding outbound e-mailings, This can also be accomplished with Web surveys bye-mailing invitations to selected respondents and asking them to visit the Web site where the survey is posted. In this case, the survey is posted in a hidden location on the Web, which is protected by a password, Hence, non-invited Web surfers are unable to access it. 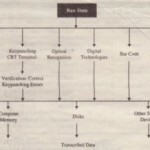 The sampling techniques commonly used on the Internet may be classified as online intercept (non-random and random), online recruited. and other techniques, Online recruited techniques can be further classified as panel (recruited or opt-in) or non-panel (list rentals). In online intercept sampling, visitors to a Web site are intercepted and given an opportunity to participate in the survey, The interception can be made at one or more Web sites. including high-traffic sites such as Yahoo! In nonrandom sampling. every visitor is intercepted, This may be meaningful if the Web site traffic is low the survey has to be completed in a short time, and no incentive is being offered. However, this results in a convenience sample, Quotas can be imposed to improve representativeness, In random intercept sampling, the software selects visitors at random and a “pop-up” window asks whether the person wants to participate in the survey, The selection can be made based on simple random or systematic random sampling, If the population is defined as Web site visitors, then this procedure results in a probability sample (simple random or systematic, as the case may be) However if the population is other than Web site visitors, then the resulting sample is more similar to a non-probability sample, Nevertheless, randomization improves representativeness and discourages multiple responses from the same respondent, Internet panels function in ways similar to non-Internet panels and share many of the same advantages and disadvantages. In recruited panels, members can be recruited online or even by traditional means (mail, telephone). Based on the researcher’s judgment, certain qualifying criteria can be introduced to pre screen the respondents, They are offered incentives for participation such as sweep stake prizes, redeemable points. and other types of Internet currencies, Members typically provide detailed psycho-graphic, demographic, Internet usage, and product consumption information at the time of joining, Opt-in panels operate similarly. • Password protection. Each invitation contains a password that is uniquely assigned to that e-mail address, A respondent is required to enter the password at the beginning of the survey to gain access into the survey. Password protection ensures that a respondent completes the survey only one time. • Reminder invitations. To increase the number of respondents in the survey and to improve overall response rates, up to two additional reminder invitations are typically e-mailed at two- to four-day intervals to those respondents who have not yet participated in the survey. • Summary of the survey findings. To increase the number of respondents in the survey and to improve overall response rates, respondents are often provided with a summary of some of the survey responses via the Internet. Non panel recruited sampling methods can also be used that request potential respondents to go online to answer a survey, To illustrate, an electronics store, such as Best Buy may hand its customers a flier that directs them to a specific password protected site to respond to a questionnaire, If the population is defined as the company’s customers, as in a customer satisfaction survey, and a random procedure is used to select respondents, a probability sample will be obtained, Other non panel approaches involve the use of e-mail lists that have been rented from suppliers, Presumably,these respondents opted in or gave permission for their e-mail addresses to be circulated, Offline techniques such as short telephone screening interviews are also used for recruiting Internet samples, Several companies routinely collect e-mail addresses in their customer relationship databases by obtaining that information from customer telephone interactions, product registration cards, on-site registrations, special promotions, and so on. 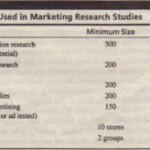 A variety of other online sampling approaches are also possible, For example, a survey invitation pops up every time a visitor makes a purchase, Furthermore, the Internet can be used to order and access samples generated by marketing research suppliers, such as Survey Samples, Inc.